We all want our dogs to be as healthy and long-lived as possible, so it makes perfect sense to feed them well. But can the same ol’, same ol’ food that we plop into the bowl every day fulfill 100 percent of our dogs’ dietary needs? …try changing dog foods first. If that doesn’t seem to help, visit your veterinarian, to rule out any medical problems. And while you’re there, ask your vet if supplements might help. Make sure that your vet agrees with any plans you might have before you open your first bottle. What About Allergies, Malabsorption, And “Cooked” Foods? 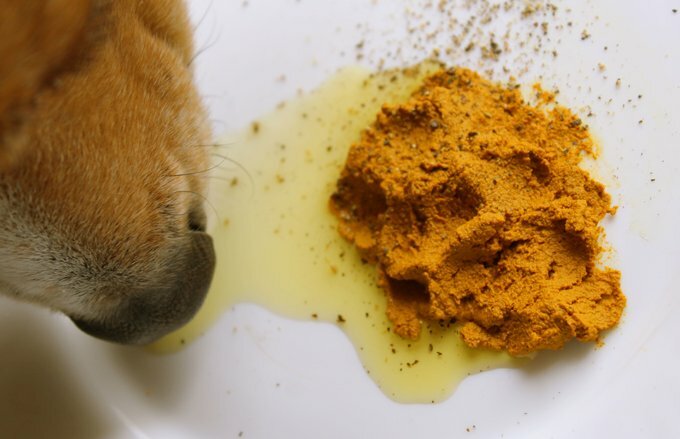 Allergies do seem to be on the rise in dogs, some experts say, but supplements would have little effect on the underlying condition. If you suspect allergies, get it verified by your vet. Malabsorption is a rare condition that hinders a dog’s ability to absorb nutrients from food. Your veterinarian can test for malabsorption and prescribe special medications to treat it, but this isn’t something you should try to diagnose or fix yourself. Cooked food doesn’t equal bad food. Many supplement manufacturers contend that the cooked food we give our dogs has lost some of its nutritive value or digestibility. Not so much. The predominant carbohydrate source in corn, barley, rice, and oats–the grains used in most dog foods–is starch, and when starches are cooked, they actually become more digestible, not less. Dogs can utilize nearly 100 percent of cooked starches, but just 60 percent of uncooked starches . Some folks opt to make their own dog food instead of giving dietary supplements. If you decide to go that route, be sure to share your diet plan with your veterinarian or a canine nutritionist, to make sure it meets all those minimum daily requirements.